Order today for only $5.59, that’s 20% off of the regular price of $6.99! A completely new way to bake gluten free, jovial Gluten Free Bread Flour is made with real flour – no added starches. Did you know that most gluten free flours contain up to 40% added starch, even though gluten free grains have as much starch as wheat? We challenged the notion that added starch is needed in gluten free flours and discovered that these unhealthy ingredients actually create the off-flavors and strange textures that are so common in gluten free bread. Our flour is made with an abundance of protein and fiber-rich ancient grains, for bread with true texture and flavor. 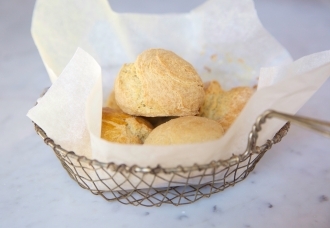 You’ll be surprised at how soft, chewy and light gluten free bread can be! Here’s to a new and healthier future of delicious gluten free bread. Made with ancient grain sorghum, whole grain millet, organic rice, whole grain teff and organic corn flour. Truer flavors and textures, your breads will stay fresh longer. 3g of protein and 1g of fiber per 30g serving of flour. Specifically formulated for baking all types of breads. Made in a facility completely free of all major allergens. Begin baking with our gluten free flour recipes, which have been specifically formulated for guaranteed great results with our product. 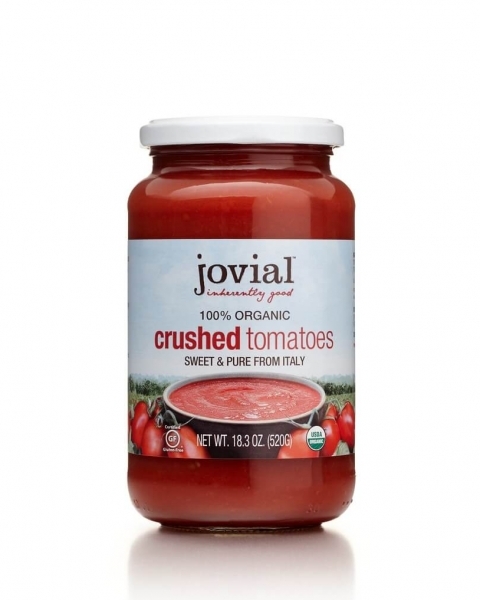 Jovial Multi-Purpose Gluten Free Bread Flour (No. 1) and Whole Grain Gluten Free Bread Flour (No. 2) can be substituted for each other at 1:1 in all bread recipes. Jovial Multi-Purpose Gluten Free Bread Flour (No.1)and Whole Grain Gluten Free Bread (No. 2) Flour are suitable for baking all types of breads. For muffins, cakes, cookies and pastries we recommend using Jovial Multi-Purpose Gluten Free Pastry Flour (No. 3) and Whole Grain Gluten Free Pastry Flours (No. 4). For more information about this product, visit our Gluten Free Flour FAQ section. Flour, Organic Corn Flour, Xanthan Gum, Tara Gum. May contain traces of soy. Dedicated facility free of milk, eggs, fish, shellfish, tree nuts, peanuts and wheat.